Wall, J, Izquierdo, E, Argyriou, L, Monaghan, D, O'Connor, N, Poulakos, S, … Mekuria, R.N. (2014). 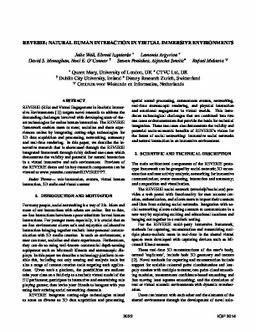 REVERIE: Natural Human Interaction in Virtual Immersive Environments.